Charles ‘Charlie’ McCarthy died in December 2017 in Fremantle. 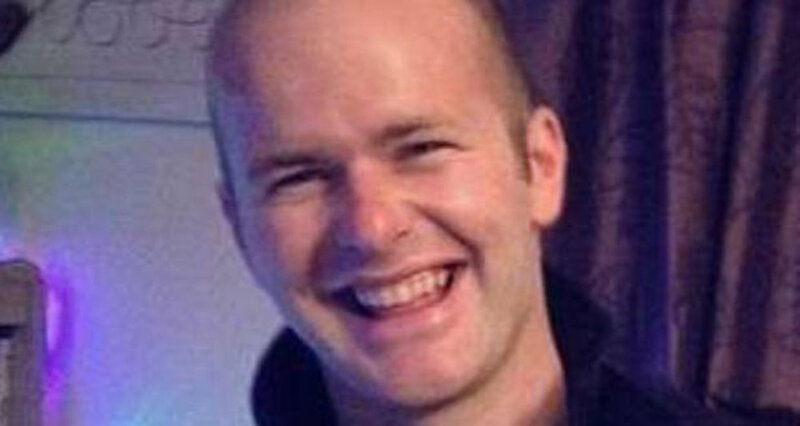 The family of a Corkman man who died after a fight in Western Australia just before Christmas 2017 said their “lives have changed forever” and they will be “eternally heartbroken”. Last week, fisherman Andrew Doan (35) was found not guilty of the murder of Charlie McCarthy (32) at the Supreme Court of Western Australia. A manslaughter charge was also dismissed. Mr McCarthy’s brother, Daniel, and twin sisters Sinead and Siobhan travelled to Perth for the trial. The family did not comment immediately after the verdict but issued a statement through a solicitor in Cork. “The McCarthy family’s lives have been torn apart since the horrific death of Charlie on December 23rd 2017,” the statement said. “Charlie was one of seven children to Margaret and Charles McCarthy . . . Charlie was a very hardworking, gentle, fun loving, even tempered and a real family man. He lived for his family both in Ireland and Australia,” the statement said. “He was very close with his entire family and would ring his mother on a daily basis, despite the time difference. He was a very keen GAA follower especially of his beloved Aghada GAA Club. He had a special interest in his twin sister’s football matches and would contact regularly for updates. Charles McCarthy died in December 2017 after an altercation with a fisherman in Fremantle. A fisherman has been found not guilty of murdering an Irish father-of-two in Perth. Andrew Doan, 35, was accused of fatally stabbing Corkman Charles John McCarthy, 32, in the head with a screwdriver during a fight next to Perth's Swan River in 2017. After brief deliberation, jurors found Doan not guilty of both murder and an alternative charge of manslaughter on Friday following a trial in the Supreme Court of Western Australia. There were gasps and tears when the verdict was handed down. Walking free outside court, the father-of-one described the past 13-and-a-half months in custody as a "crazy rollercoaster". "I don't wish it upon anyone," he said. He wept as he said it was good to be back with family and friends. Mr McCarthy's brother Dan and twin sisters Siobhan and Sinead, who had travelled from their home in Cork, made no comment outside court. Mr McCarthy, 32, from Upper Aghada, Co Cork, worked as a cable layer in Perth and had two children. The trial heard how Doan had been fishing with his friend Tien Vu Huynh in East Fremantle in the early hours of December 23, 2017 when Mr McCarthy, his wife Nicole and friend Jason Mikel Curran walked by. Doan said that when the men saw him and Mr Huynh emerging from the water, they asked: "Have you caught much?" He mumbled "not much" in reply and they shot back "bit of s*** luck", according to Doan. Their next comment - along the lines of "Fisheries are going to come and get you" - upset him and Mr Huynh, who are both Asian, interpreted it as racist. Prosecutor James Mactaggart told the jury it was a "smart-arse, throwaway" comment, Mr Doan said the remark was racist because there was a stereotype "that all Asians catch undersize fish". Doan said his anger soon gave way to feeling vulnerable and outnumbered when Mr McCarthy began "puffing up" and walked back towards him "really staunch" with his fists clenched. He said he panicked, reached into his hoodie pocket, pulled out a screwdriver he had been carrying for crabbing and held it above his head, saying: "Get back or I'll stab you." Doan said that as he retreated to his car, he had a scuffle with Mr Curran and Mr McCarthy kicked a wheelie bin at him, which just missed. He said Mr McCarthy then charged and moved to punch him - ignoring his wife's frantic pleas to stop - and impaled himself on the screwdriver, which Doan was still holding. He remained at the scene until emergency services arrived, telling police "it was me", and claiming self-defence. The Coronas are heading back to Australia for a whistle-stop tour. Just a year after releasing their Irish number one album Trust the Wire and their last Aussie tour, Dublin rockers The Coronas return to Australia for three shows in November. Since establishing themselves in 2003, The Coronas have built up a loyal fanbase in Ireland and cemented themselves as one of our best live acts. Fresh from playing to 14,000 fans at Dublin’s 3Arena, lead singer Danny O’Reilly told The Irish Echo how excited the band are to be heading back down under. “The reaction we have been getting there is just amazing so we’re really excited about going back,” O’Reilly, the son of singing legend Mary Black, said. “We had a cool gig in Sydney in March, just to launch the gigs, and we love going there. We’re really excited and hopefully by the end of November, it will be nice and sunny as well so we’ll get a bit of sun on our skin. “Often times we don’t get to enjoy the cities too much but hopefully we’ll get a few days either side just to enjoy the place. It was cool to be back in Sydney for a few days. We have a couple of friends living there now. It was just last year that the band released their fifth studio album but in June they followed it with new material in the form of the EP, The Reprise, a collection of loose-end songs that did not fit on previous albums. “We’ve been playing a few songs off it. It’s been going well. It’s always nice to have something new out there. “I think the EP’s a little bit different for us, it’s a little bit of a departure from what we’ve done in the past. I mean it’s still Coronas, it’s still three and a half minute songs of my whiny voice on top of some pop songs but I think musically it’s slightly different for us. “It’s been getting an amazing reaction, much better than we even thought. We thought we were gonna release it under the radar just to have a release for our really eager fans who want to hear some new music but I think it’s helped us garner some new attention and some new fans so it’s really encouraging. “We had more freedom because we produced it ourselves. It’s the first piece of work that we self- produced. It was very free and easy and like, ‘Okay, there’s no pressure on it to be a big successful album, we don’t need a load of hits, this is just something for us’. And I think taking that pressure off made it more enjoyable. The lead single on The Reprise is The Note, striking for both the singalong and triumphant tune and the heartbroken lyrics it is married to. O’Reilly has often spoken about how he writes about his own life in his music. This song could very well be from the period after his high-profile break-up with television presenter, Laura Whitmore. The band have started putting together material for their next album and O’Reilly reveals this comes as a relief after the last album’s difficult preparation. “I’m really excited about the new stuff, more so than years gone by. With the last album Trust the Wire we’re really proud of it. I definitely think it’s one of our strongest albums but I think it was the closest I’ve ever been to having writer’s block. “I was definitely struggling creatively for a while so I just thought: ‘We’re getting older, trying to continuously improve creatively, it’s going to be difficult and it’s going to just get harder as you get older’. O’Reilly will not be the only family member in Australia in November as his mother Mary Black will perform at the Sydney Irish Festival. Asked if there could be some overlap of their time here, O’Reilly replied: “It will be great. To be completely honest, I had no idea we were going to be in Australia at the same time, so thank you for that. It would be so cool. Five Australian Roses made the long trip to Tralee but only three will feature in the live TV 'final'. 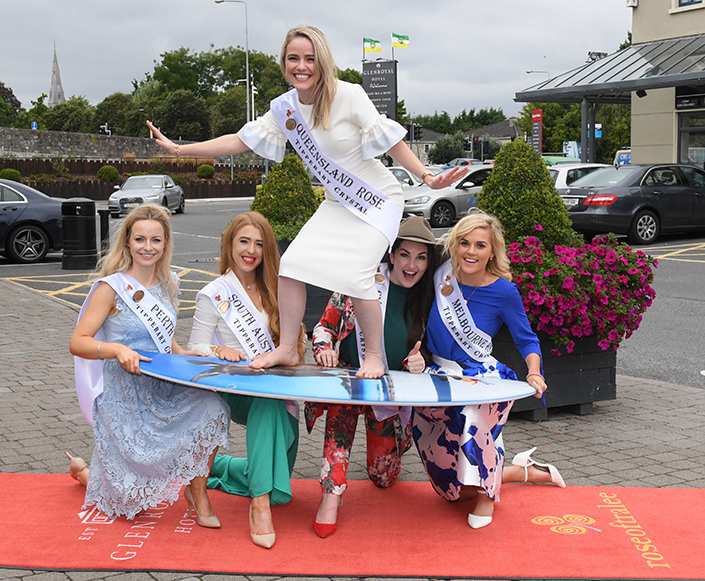 Sydney's Caitlin MacInante, Melbourne's Suzie Jackson and Perth's Laura Cannon will be part of the televised Rose Of Tralee final which will be broadcast over two nights from early Tuesday morning Australian time on RTE. But Queenland's Sarah Griffin-Breen and South Australia's Emilie Helbig have missed out. Unlike in previous years, only 32 of the 57 participating Roses get to take part in the televised portion of the pageant. Queensland's Rose Of Tralee organisers posted the following message on their Facebook page. "We are so incredibly proud of our beautiful Queensland Rose, Sarah. Her journey so far in Tralee has been amazing and we are excited to celebrate the rest of the Festival with her. All 57 Roses have done their Families and Centres proud and we wish the 32 through to the Dome the best of luck." Others who posted on the official Rose of Tralee page were less magnanimous. "Not fair on the other Roses," Fiona Real posted when the final list of 32 was revealed. "Won't be tuning in to watch the live shows. I think they should all go through after all the effort these girls went through to get there." All three remaining Aussie Roses will take part in the second broadcast alongside: Boston & New England, Chicago, Cork, Down, Dubai, Galway, Germany, London, Mayo, Philadephia and San Francisco. The Rose of Tralee will be available to watch for free, live and on-demand on RTÉ Player.